CVS Health has partnered with four health systems nationwide to provide them patient prescription and visit information, securely sharing data through its Epic electronic health record system. 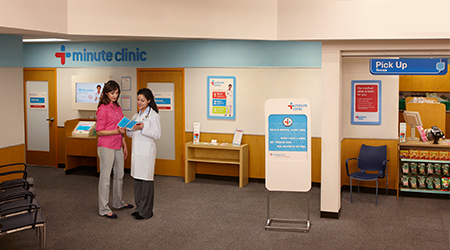 CVS has entered into new clinical affiliations with Sutter Health in California, Millennium Physician Group in Florida, Bryan Health Connect in Nebraska and Mount Kisco Medical Group in New York. Through the partnerships – which bring the number of clinical collaborations for CVS Health and MinuteClinic to nearly 60 major health systems – these organizations' patients will continue to have access to clinical support, medication counseling, chronic disease monitoring and wellness programs at CVS/pharmacy stores and MinuteClinic, the retail medical clinic of CVS Health, officials say. These providers will receive data on interventions conducted by CVS pharmacists, with the aim of improving patients' medication adherence for their patients. The affiliation encourages collaboration between the health systems and MinuteClinic providers to improve coordination of care for patients seen at MinuteClinic locations. Affiliate organizations and MinuteClinic practitioners will also work together on planning strategies around chronic care and wellness, officials say: If more comprehensive care is needed, patients can follow up with their primary care provider and have access to the services at the health care provider as appropriate. "In this era of health care reform, we are pleased to work with these health care organizations to develop collaborative programs that enhance access to patient care, improve health outcomes and lower healthcare costs in the communities they serve," said CVS Health Chief Medical Officer Troyen A. Brennan, MD, in a press statement. MinuteClinic, CVS/pharmacy and participating providers will work to streamline and enhance communication through their EHRs, such as the electronic sharing of messages and alerts from CVS/pharmacy to the health care organizations' physicians regarding medication non-adherence issues. MinuteClinic will electronically share patient visit summaries with patients' primary care physician when they are part of an affiliate organization and with the patient's consent. "By allowing our electronic health records and information systems to communicate and share important information about the patients we collectively serve, we will have a more comprehensive view of our patients, which can aid in health care decision making and help ensure patients adhere to important medications for chronic diseases," said Brennan.